Celebrate special occasions anytime, anywhere using Flat Greeting Cards. With custom designed cards you can make your messages more unique and personal. Whether they're far away or just around the corner you can now easily spread good cheer to your friends, families and clients. 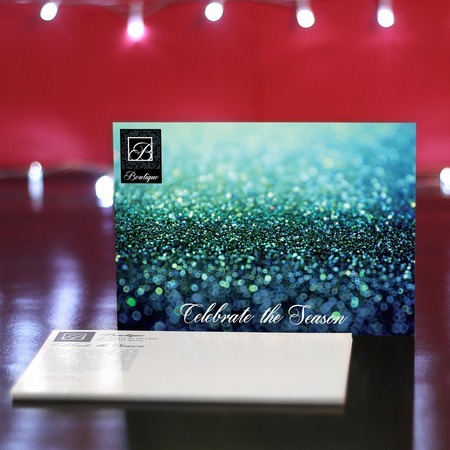 Greeting cards are great corporate gifts or souvenirs especially during the holidays. It is one way to stay communicated with your clients and stay on top of their minds during this busy season. Our folded greeting cards are available in 5 different sizes for every occasion. You can order them with Baronial envelopes for a better presentation. They are available in vibrant gloss or elegant matte finished card stocks. Greeting card customization is available through our custom product builder. If you have any concerns contact us at 1-888-888-4211.